The winner of the blog hop with DCWV is AmyJones8546! Congratulations-please send your mailing address to naoko@fabercastell.com. Thanks! Hi Everyone, Krista here again sharing with you a single page scrapbook layout I've created. There are a lot of different elements on this layout (using Gelatos®, Pitt Artist Pens, Textural Accents, Stampers Big Brush Pens etc...) so I've created a little slideshow video you can check out below. Thanks for watching! Until next time, have a great day! Gelatos®: Snowcone, Margarita Mix, Lemon, Tangerine, Watermelon, Bubblegum, Raspberry, Lavender. Hi Faber-Castell Fans - Karen here again!! I had SO much fun playing with the Faber-Castell Chalkboard Paint and PITT® Pastel Pencils - it was one of those projects that just worked from the start and I loved the finish! My first thought was to create the house with just the PITT® Pastel Pencils because they work SO well on the chalkboard paint, but I thought I would mix it up and add some paper to the mix!! I am amazed at the change that can be made when using Faber Castell Design Memory Craft products on a plain manilla tag! It's hard to believe that's how this tag started isn't it? Read on to see how I transformed it. I'm excited to share the changes! 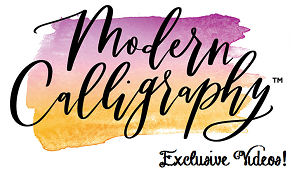 Are you ready for our first blog hop with DCWV? We’ve been fans of their products for a long time so we’re excited that we’re finally doing our first blog hop with them. There’s some great prizes too- Faber-Castell Design Memory Craft and DCWV will be giving away $75 in product at the end of the hop. To win, follow the list below and leave a comment. The hop will end at 5PM EST on Friday, March 28th. The winner will be announced on Monday, March 31st on each of the company’s blogs. For extra entries, follow Faber-Castell Design Memory Craft and DCWV on twitter! Hi everyone! Jeanne Streiff here today with an easy (and it was so much fun to make!) background technique using Faber-Castell Design Memory Craft Gelatos® and Gesso. This technique would be great for your scrapbook pages and art journals too! As a bonus I will show you how to make ribbon to match your project perfectly using Gelatos®! Here is a video I made showing you how to make the card. Hello! Dana Tatar here today sharing a project that utilizes Faber-Castell Design Memory Craft® Glaze in a super fun way. I've taken glaze off-the-page and used it to create tinted die-cut embellishments! The winner of the Studio Caddy is Viola Vaughn! Congratulations! Please send your mailing address to naoko@fabercastell.com. Hi Everyone, Beck Beattie here again to share with you how I created this cover for my next Art Journal. I just love these Mixed Media Journals as they really take the layers and different products without warping. You really can have LOADS of fun with them. Here are some detail pics also where you can look at the effects all those layers created. Don't be scared to have fun with your Art Journalling. I find it such a great way to play with newproducts and see what they can do in different ways. It's our last (and biggest) giveaway! We're so excited about this one. The Studio Caddy ($367.50) is the ultimate collection of mediums and colors to Mix & Match. Built for easy access to all your tools, it rests on the desk surface upright or flat. Here's how you can win: Leave a comment below on how you plan to use the prize. For extra entries, 'like' our Facebook page. The winner will be announced tomorrow at 5PM EST.